Rotronic transmitters, measurement and monitoring systems play key roles in ensuring the protection of high value goods stored in duty-free warehouses around Europe, particularly in Switzerland where they play a key role in the national economy. These warehouses are transit zones for the storage of goods whose main advantages are the temporary suspension of customs law and taxes. As such they store a range of valuable goods that are sensitive to temperature and humidity. Leading warehouse networks have installed Rotronic HF1 temperature and humidity transmitters to ensure optimal climatic conditions for long term storage are achieved and maintained. Duty-free warehouses are usually located near national borders and airports and must be configured for stable climate control to protect a range of valuable goods stored there that can include foodstuffs, wines & spirits, art works, electronics and pharmaceuticals. Switzerland’s network of duty-free warehouses poses a particularly severe climatic challenge, since the country is unusual in imposing no time limit on duty-free storage for external goods. This means some consignments may remain in Swiss storage for months or even years. The type of goods stored in duty-free warehouses has changed immensely over the years. The strong development of the art and wine investment markets has given rise to special security and quality requirements concerning, in the first instance, storage conditions (temperature, humidity and vibrations). Switzerland has around a dozen duty-free warehouses, capitalizing on its location in the heart of Europe along with its independence, legal and political stability. In 1888 the canton parliament approved the establishment of the operating company Ports Francs de Genève SA. 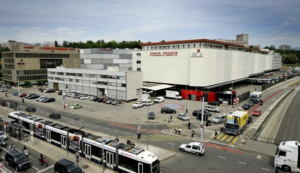 Later renamed Ports Francs et Entrepôts de Genève (PFEG), the company is based in La Praille, Geneva, where it manages a floor space of 150,000m², half of it classified as duty-free under Swiss customs rules. To ensure it is able to meet high standards in quality and security, Ports Francs opened a new warehouse in 2014, extending its flagship Freeports Geneva complex to handle climate controlled storage of valuables such as antiques, works of art and wine. It was designed in collaboration with various specialists in security, insurance, energy and architecture, and not least climate control. The numerous elements listed in the requirement specification included critical parameters for climatic conditions (temperature and humidity) in the building’s storage rooms. 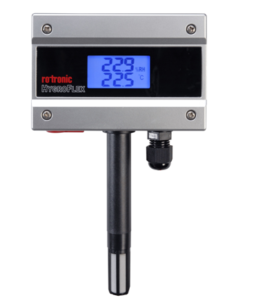 To ensure a high standard of quality and security, PFEG approached Rotronic AG to ensure rigorous measurement and monitoring of climatic conditions. “We needed to use precise and stable measuring instruments,” commented PFEG Technical Director, Marc Golay. The building concerned is equipped not only with a ventilation and air-conditioning system (humidity and temperature), but also with a central building management system utilising the concepts of MSR (measuring, control and regulation). The building is divided into two climate zones. The first is for storage of wine in accordance with applicable regulations (70% humidity, 13°C), as in the traditional wine cellar. The second zone is reserved for sensitive and valuable goods, primarily paintings (55% humidity, 21°C). “Since it was one of the main aspects of the building concept, we needed absolute control over climatic conditions during storage,” said Mr. Golay. “We wanted a system able to maintain a constant level of humidity and a constant temperature everywhere and at any time of the year. To ensure control and logging of these parameters, we opted for Rotronic measuring instruments”, adds Marc Golay. To establish the necessary climatic conditions, Rotronic HF1 temperature and humidity transmitters were installed to enable control of the optimum storage climate. The PFEG system maintains constant checks that the temperature and humidity requirements are being met. Rotronic measurement devices were preferred due to the company’s international reputation for precision, reliability and customer support. “It is a company with an excellent reputation that takes action immediately when necessary. It is extremely important that the probes work reliably and accurately as they deliver all the information on the climatic conditions in the building,” explained Marc Golay. Rotronic wall mount T/rh probes for the duty-free warehouse were fastened to the walls at a height of about 1.5 cm from floor level. These enable control of temperature and humidity in the room and emit warnings when predefined limits are breached. The probes are connected to the wider MSR system via analogue and digital outputs and finally integrated in a Scada monitoring system installed by building automation specialists Elitec. Click on Rotronic climate-controlled warehousing solutions for more information. Click on Products for more information on Rotronic measurement solutions.